Metcheck.com - Weather News - Cloudier For Many. 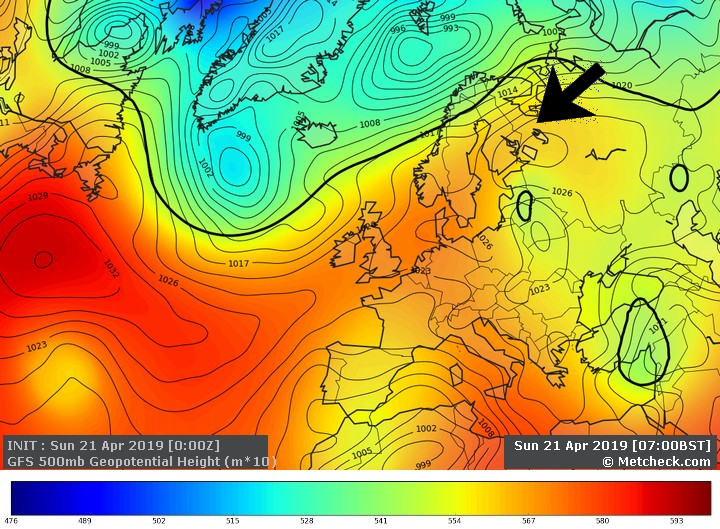 The frontal system that has brought some very wet weather to southern parts of the Republic of Ireland during the last day or so is now trying to edge its way north and eastwards but its progress is very slow as it meets the blocking high over Scandinavia. This high will eventually kill off this front during the midweek period before reasserting itself across the country for the start of Easter. Many places are starting off frost free this morning as a combination of more cloud and breeze helped to hold temperatures up overnight. 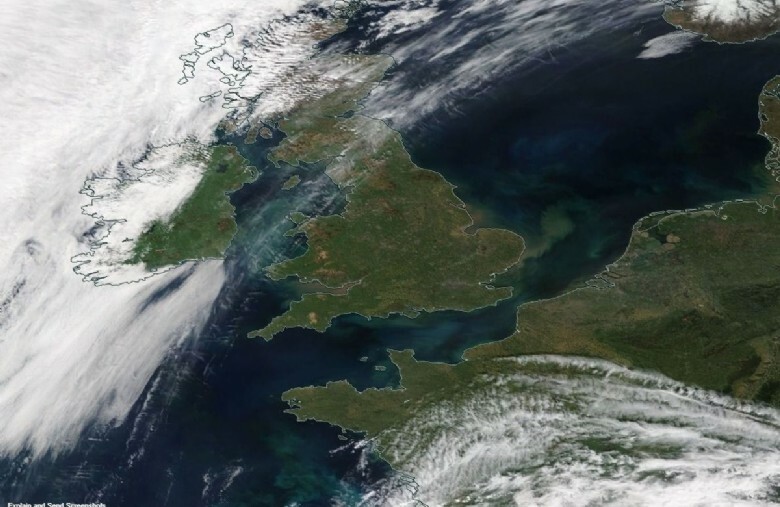 The cloud is thick enough to bring outbreaks of rain across much of Northern Ireland, eastern parts of the Republic of Ireland, Wales and southwest England. This rain will edge a little further north into western parts of Scotland today as it tends to die out from the south, but many places will see a mostly cloudy day. The best of the brighter conditions will come towards eastern and north-eastern regions of the UK, but sunnier conditions will also move into parts of Ireland and the far southwest of England although here a few showers may break out by this afternoon. Top temperatures today will range from 10°C to 14°C for many regions, coolest under the rain band and along north-eastern coasts where there will still be a stiff onshore wind. A touch of frost is possible over rural parts of Scotland tonight, but for much of the country it will be a mild night thanks to the east/south-easterly breeze and a fair amount of cloud. 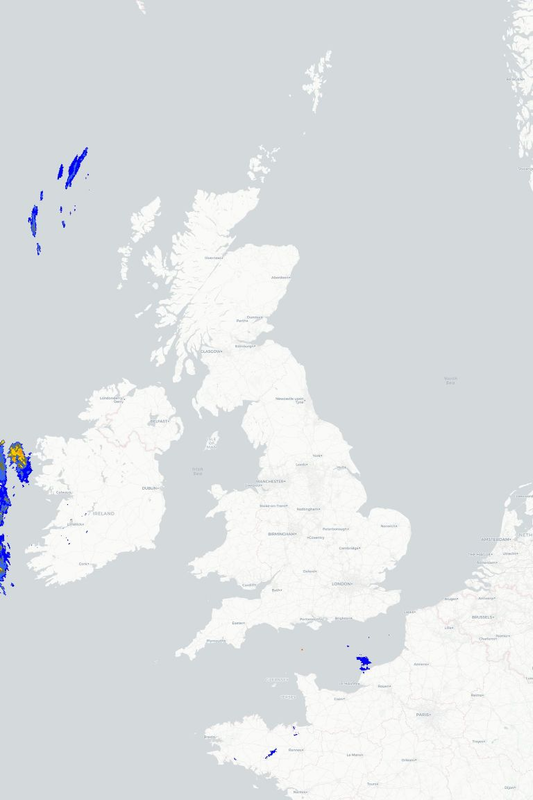 Some rain and drizzle will continue across western parts of Scotland, Northern Ireland, Wales and western parts of England but it will become increasingly light and patchy. This front eventually fizzles out across central regions tomorrow leaving a lot of cloud, but elsewhere it should be brighter with some sunny spells and temperatures picking up nicely in the best of any sunshine.